Make your event unforgettable, book Katy Perry to perform at your event – we are a booking agent for Katy Perry, and can arrange for her to perform for your guests. Katy Perry first gained mainstream success in 2008 with the smash hit, “I Kissed a Girl,” which topped international charts. Her singles, “I Kissed a Girl” and “Hot and Cold” both went multi-platinum. Her second album debuted at number one on the Billboard 200 and spawned the number one hits, “California Gurls,” “Firework,” “Teenage Dream,” “Last Friday Night,” and “ET.” In 2011 Katy Perry became the first artist in history to spend an entire year in the top 10 of the Billboard Hot 100. The majorly successful album ‘Teenage Dream’ went on to win the 2011 Juno Award for International Album of the Year. In 2014, Katy Perry announced that she had founded her own record label under Capitol Records and had named it Metamorphosis Music. The American singer-songwriter Ferras was the first artist to get signed to her label, and Perry herself served as an executive producer on his self-titled EP. She also recorded a duet with him on the EP, titled “Legends Never Die”. The name of the label was later changed to Unsub Records. In 2015 Katy Perry performed at the Super Bowl XLIX halftime show with Lenny Kravitz and Missy Elliott joining her as special guests for the show. Two days after the halftime show aired, the Guinness World Records announced that Perry’s performance amassed 118.5 million viewers in the United States, and was the most watched and highest rated show in Super Bowl history. The half time show’s overall views were higher than the game itself, which was watched by an audience of over 114 million. In February 2017, Katy Perry released her lead single from her upcoming fifth album. The single was titled ‘Chained to the Rhythm’ and was a collaboration with Skip Marley, it reached no. 4 in the US Charts. She followed it up with her second and third singles from the album, ‘Bon Appetit’ and ‘Swish Swish’ respectively. The album, titled ‘Witness’, was released in June 2017. Katy Perry has also been signed on to be a judge on ABC’s revival of American Idol which is due to be broadcast in 2018. Over the span of her music career Katy Perry has won five American Music Awards, fourteen People’s Choice Awards, four Guinness World Records, a Brit Award, and a Juno Award. Additionally in September 2012, Billboard crowned her the “Woman of the Year”. Katy Perry was announced as the Top Global Female Recording Artist of 2013 by the International Federation of the Phonographic Industry (IFPI). The Recording Industry Association of America (RIAA) has said that she is the third best-selling digital singles artist in the United States, with certified sales of 90 million digital singles including on-demand streaming. Furthermore she became the first artist to have three songs receive Diamond certifications from the RIAA with ‘Dark Horse’, ‘Firework’, and ‘Roar’. As a booking agent for Katy Perry we can organise for her to perform at your event. 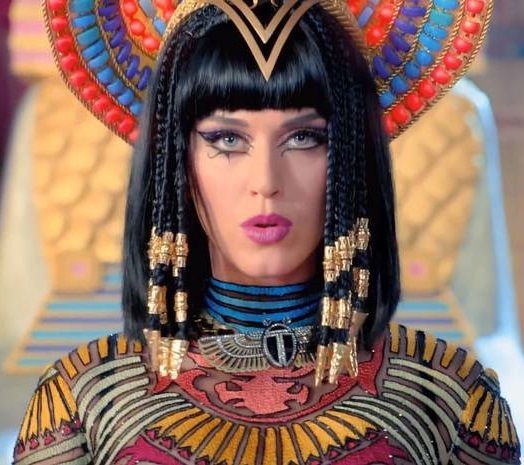 To hire Katy Perry call Contraband Events and we can make it happen. We are booking agents for a huge selection of famous musicians to hire, and we can recommend the best artists for your entertainment. Katy Perry can be booked to play at your private or corporate event through Contraband International. Make us your preferred booking agent.